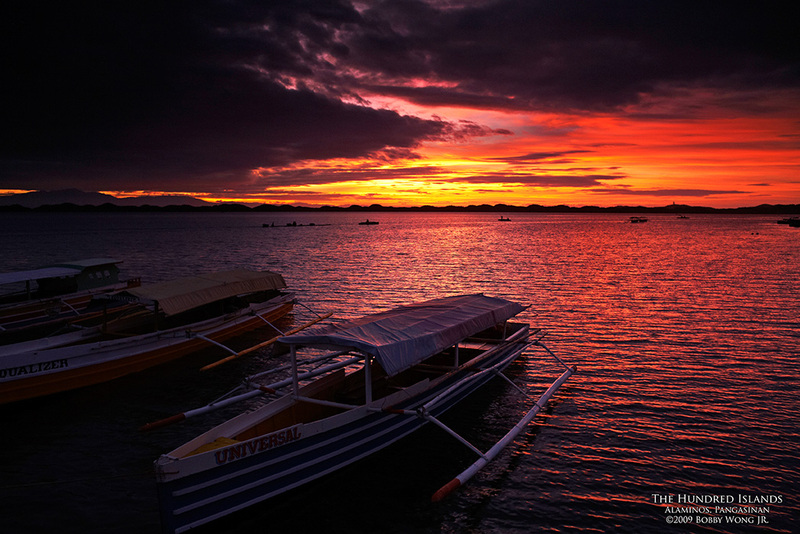 We were on the shores of Alaminos in Pangasinan, waiting to capture the sunrise over the Hundred Islands National Park. Truth be told, no two sunrises look exactly the same. Cloud type, density, and formation are largely random, depending on the weather and the wind. The intensity and breadth of dawn colors can vary widely too, depending on the clarity of the sky, the moisture in the air, and even the season of the year. And the foregrounds that we love to anchor our shots with? It's always a thrill hunting them down, provided we've done our homework earlier. I've been chasing the twilight hours for four years now this month, so its an anniversary of sorts. But it's been like an unquenchable thirst, a hunger hardly satiated. Truth be told, every sunrise for me is like Christmas-time: a reunion with an old friend who looks slightly different since the last time we met. Who can get enough of their friends? Enjoy. Greetings from Indonesia!... Was googling for 'church of light' and it led me to your postcard #29! Im in full awe of your beautiful captures of 'adventures'. Bookmarking this for future adventures to Manila myself! :) Love love '#19 - little green men' and '#28' with the kids in black n white... simply phenomenal! Thank you Bobby! This is absolutely glorious! Both the sky and the sea look like they're on fire.